It’s NOT a race… but let’s get it over the finish line! It’s 22 scooters. It’s 3,487 miles. Over 10 Days. It’s the Scooter Cannonball Run… a “timed endurance event”. 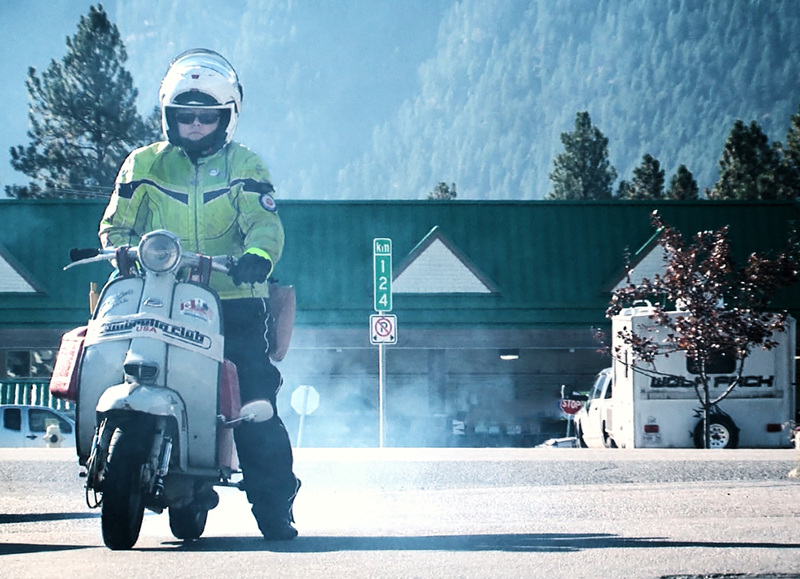 And back in 2010 they shot a movie… a documentary that attempted to capture the insanity of the event by follows the scoots ( a swarm of Vespa’s, a Honda Ruckus and Yamaha C3 and Starr – pictured above – on her ’67 Lambretta) from Vancouver too Maine. And they’ve been working on the movie for the last four years. Working through over 300 hours of footage, shot with 7 cameras. This has been a passion project for the filmmaking team, and, up until now, has been entirely self financed. Finally, the movie has begun to near completion, and now the team has turned to crowdfunding, via Kickstarter, in order to raise finishing funds. I know it’s a movie I’d like to see. And we can help make it happen. If it’s something you’d like to be part of of too, you can contribute here. This entry was posted in Events, Video and tagged crowdfunding, documentary, It's Not A Race…, Kickstarter, Lambretta Club USA, Scooter Cannonball Run, Starr, USA by crocodilejock. Bookmark the permalink.